Drawing competitions would be held on the lawns of Cubbon Park, Mysore during Independence or Republic days when I was in school. 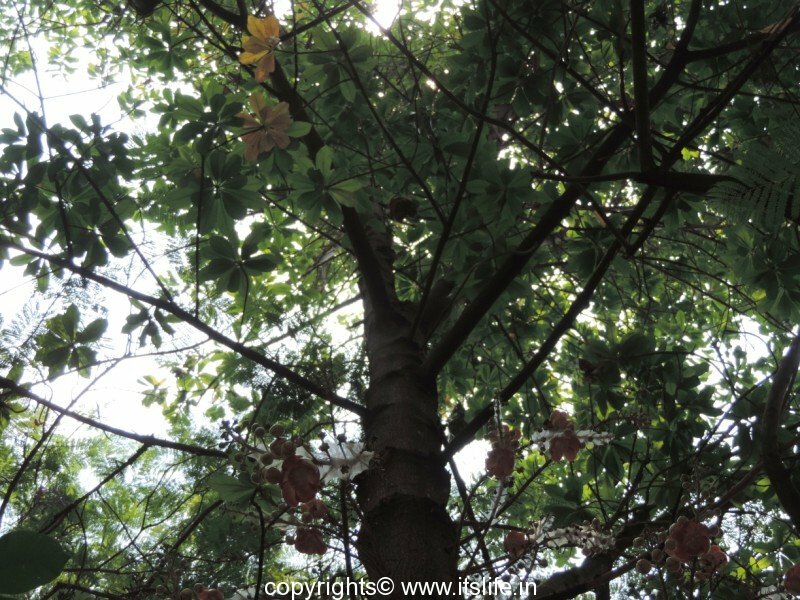 There is one Cannon Ball tree in the Park and on these occasions, I would always walk up to the tree and look up at the beautiful flowers hanging from the bark and enjoy the mild scent of the flowers. 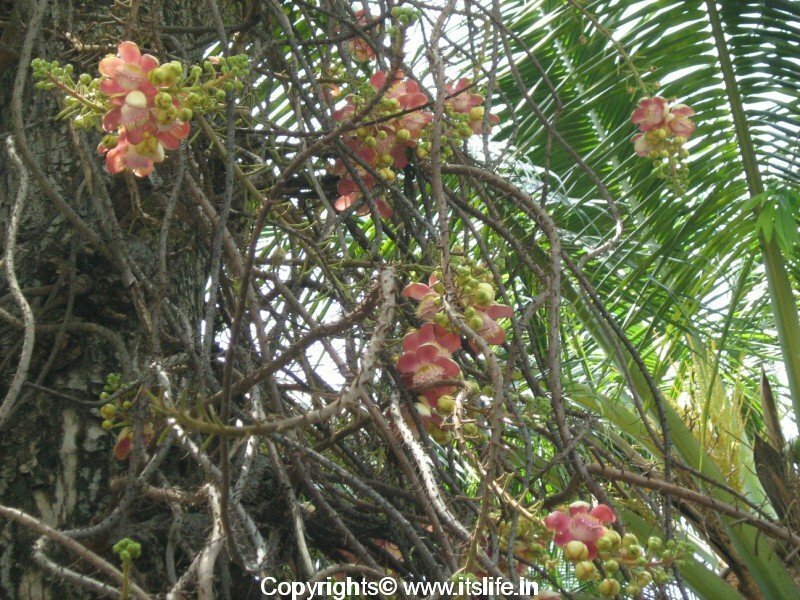 Cannon Ball Tree is known as Lingada Hoovu in Kannada, Nagalinga in Hindi, and similar names in other Indian languages. 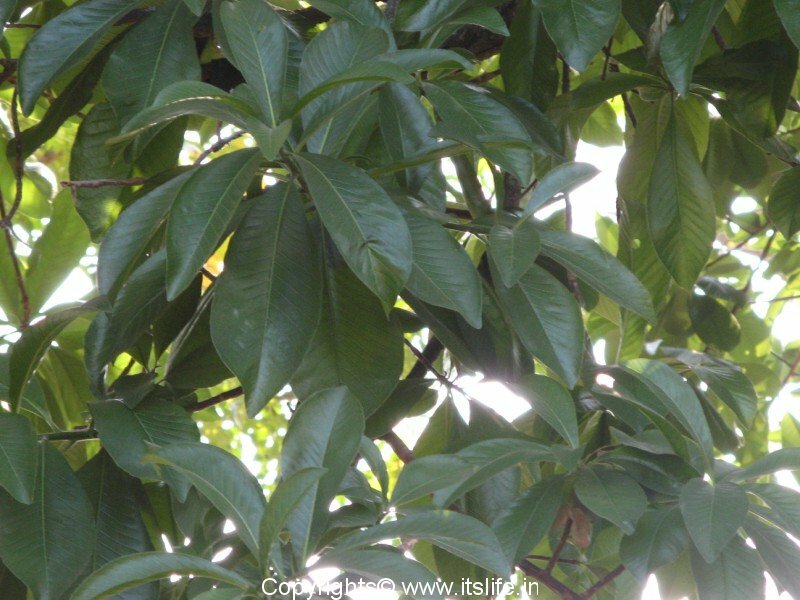 Botanical name is Couroupita guianensis and belongs to Lecythidaceae family. 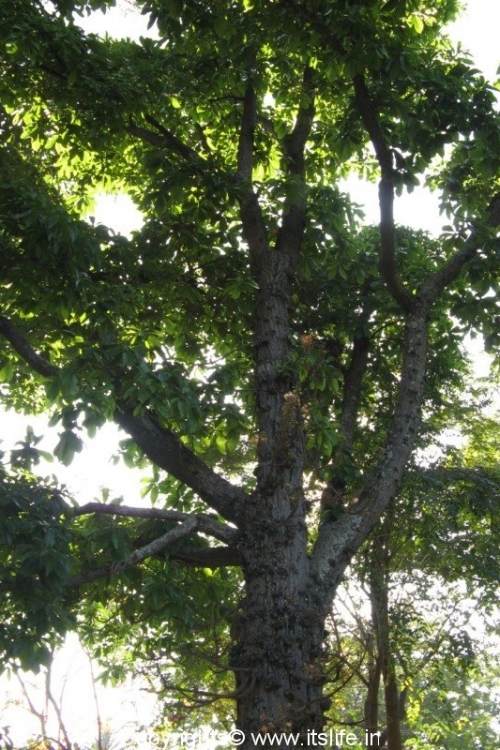 The trees are majestic and grow up to a sturdy 75 feet in height. 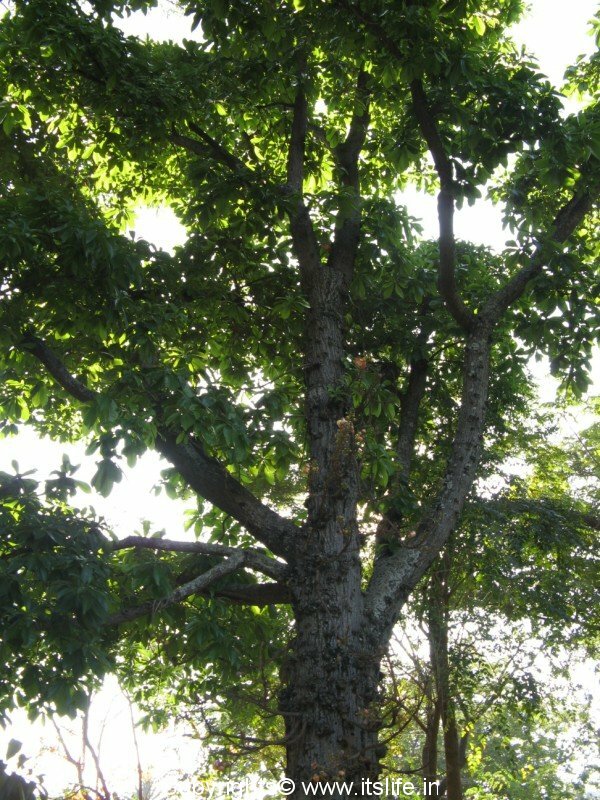 Trees are native to Brazil and India. Cannon Ball trees are planted for ornamental purpose and arouse curiosity among people because of the huge flowers that bloom directly on the bark and the big round woody, cannon ball shaped fruits. 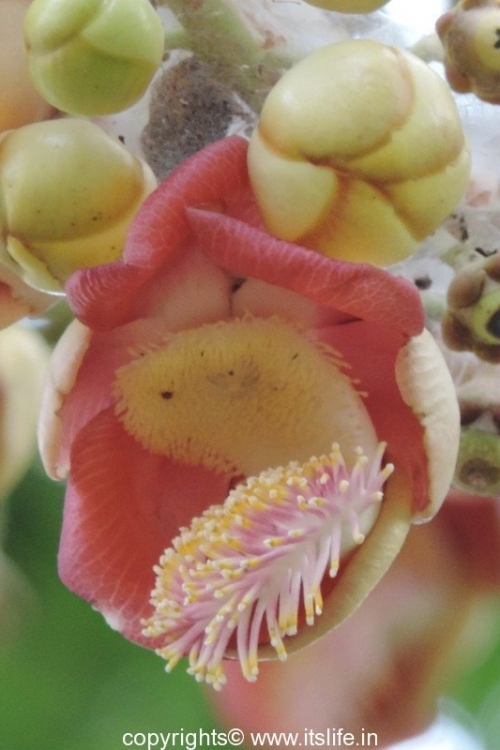 Flowers are scented and are 5” wide with 6 petals in red, pink, and orange. 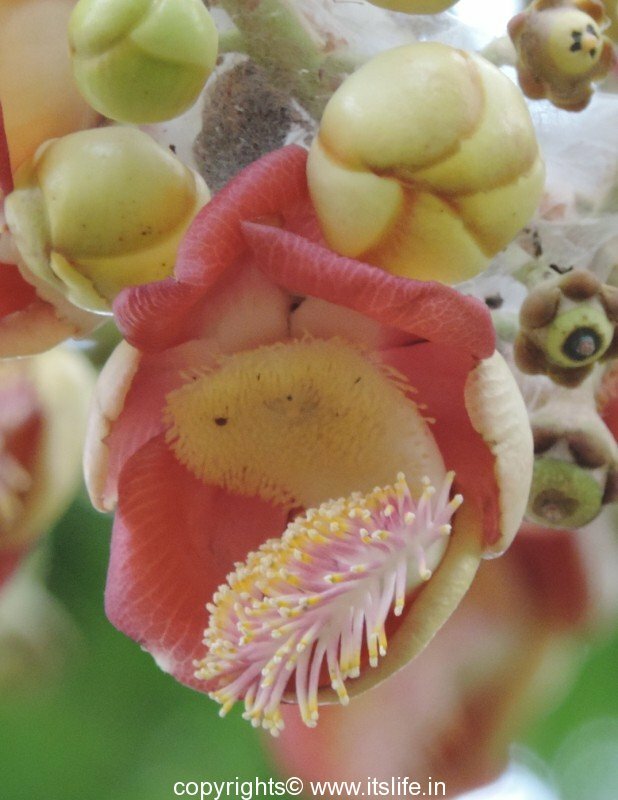 The Shiva linga shape found in the center of the flower and the pollen hood shaped like a multi-hooded snake is the inspiration for the Indian names of the flower. Cannon Ball tree is planted in most of Lord Shiva temples in India. Lingada hoovu is used to worship Lord Shiva. 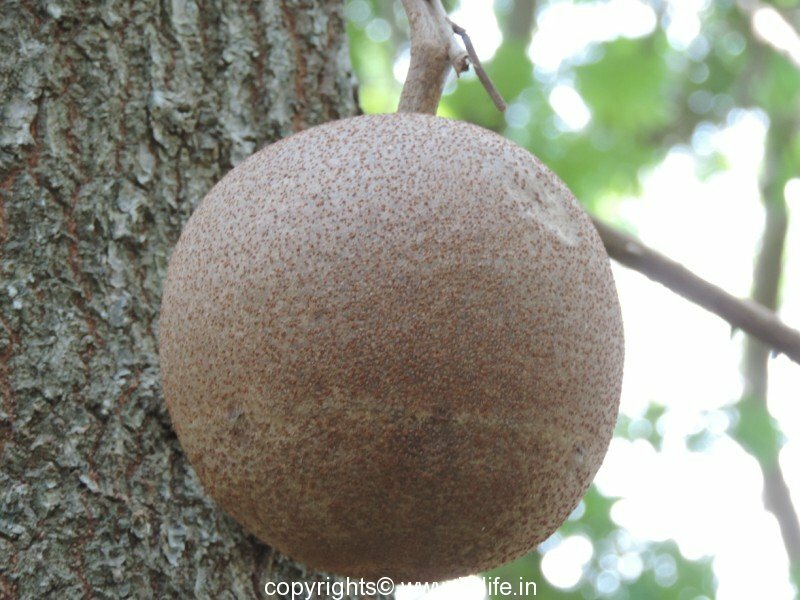 The fruit is 20 cms in diameter and contains many waxy seeds when exposed to air emits an unpleasant smell. 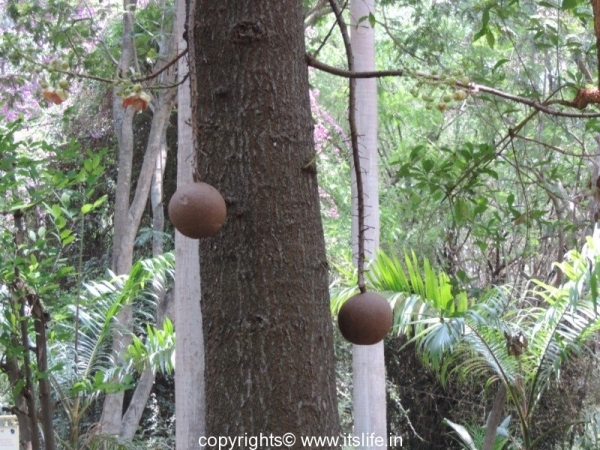 The different parts of the Cannon ball Tree are used to treat ailments ranging from skin diseases to Malaria. They possess antibiotic, antifungal, antiseptic and analgesic qualities. The saplings are available in large nurseries. its very rare lower. 1 flower 1000/-Rupees any body want to this flower ? cantact this number 9738864414. It is not a rare flower and it is rarely sold in markets. Also, this flower is not used to worship any gods.